WinCustomize: Explore : BootSkins XP : Windows B.C. Have you ever wanted to to know what windows was like in the old times? Well then check this skin out!! 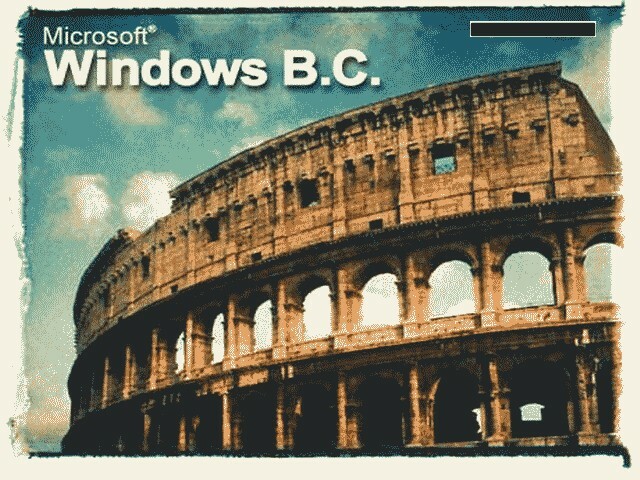 The image on this boot screen is of the Coliseum in Rome, which was built in about 80AD nothing to do with BC. Please get things right. Am I a curmudgeon?